Google has launched a mobile platform for your Droid phone called “Car Home” which in fact is a travel companion for you in your car, while you’re driving. I mean, people are driving and texting anyway right, mine as well embrace it and help people get the information they want, faster, while behind the wheel. 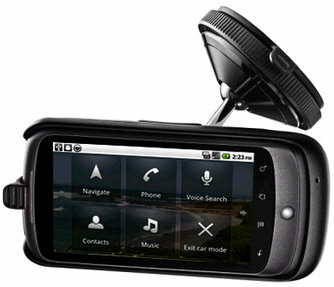 Car Home allows you to turn your Nexus One Android phone or your Motorola Droid Android phone into your own personalized dashboard of apps for your car. Some of the features that would work great in Car Home are the GPS navigation, voice activated commands, talk to text, and contacts. Read more about Car Home at the break.